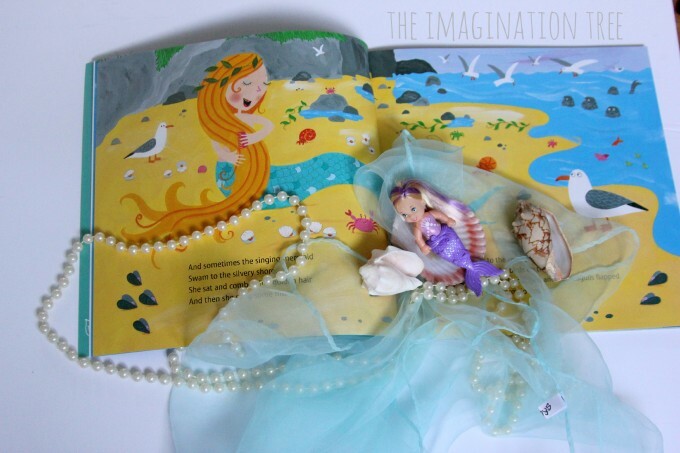 Create a sensory storytelling basket to retell the wonderful book The Singing Mermaid in a playful, hands-on way! 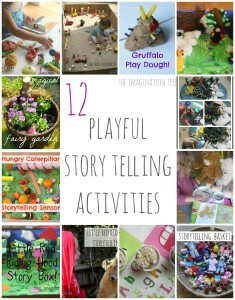 Using sensory-rich story props, this is a great way to get little ones involved in storytelling and active listening and participation, which are key early literacy skills. 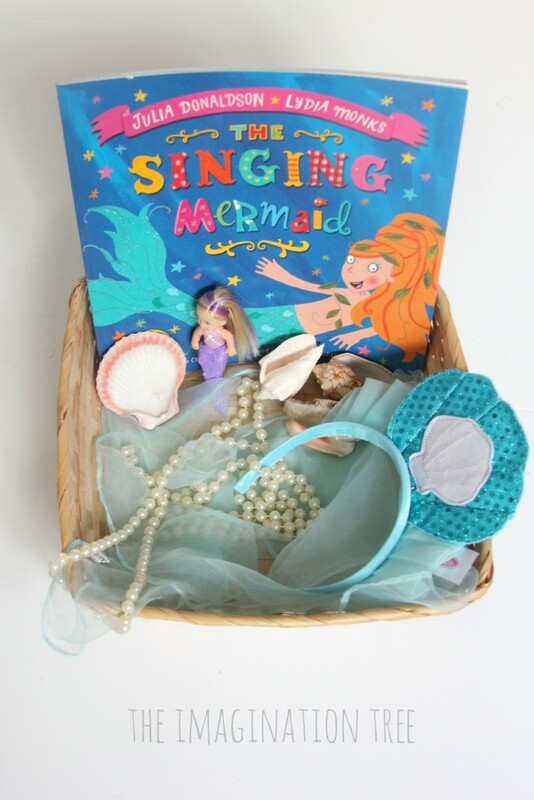 This is the latest in our new series of Sensory Storytelling Baskets for preschoolers to school aged kids and it is using one of our favourite new books, The Singing Mermaid! 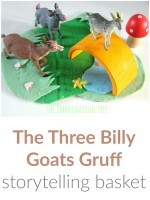 Written and illustrated by the fabulous team of Julia Donaldson (The Gruffal0) and Lydia Monks (Sharing a Shell), this story has the most gorgeously textured, sparkly illustrations coupled with a brilliant rhyming text, which makes it so much fun to read and irresistible for little hands to touch! There are also some good points for discussion in the text about fairness and problem solving, which would be great for group time. 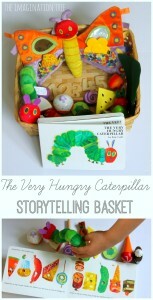 We read the story together and then looked around for some key items from the book to put into our basket. 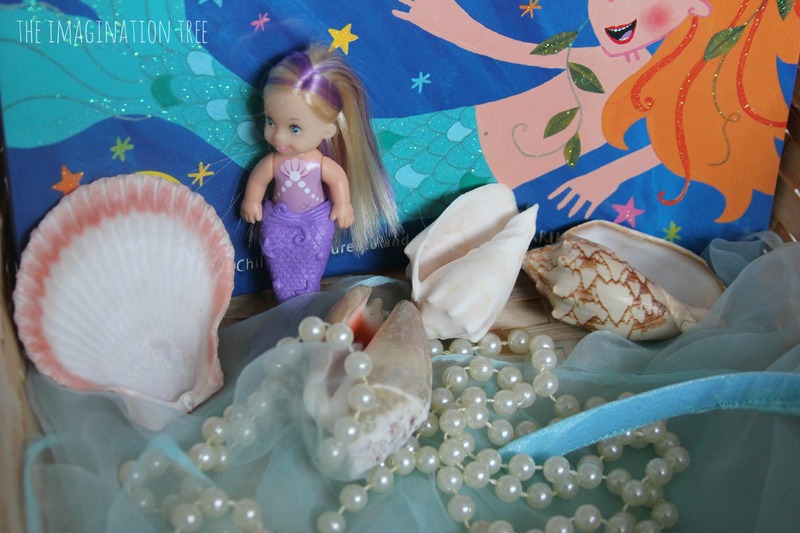 We found a string of pearls, some pretty sea shells, a light blue play scarf, a little mermaid doll and a mermaid headband. We also had the accompanying dressing up costume to go with the headband which Miss 3 is very partial to wearing, and when she’s in that as we use the basket it is perfect! 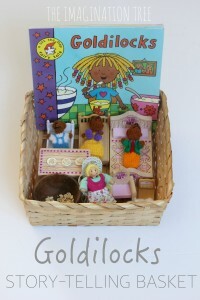 As we read and retold the story, the handled the beads and shells and scarf and listened to the words. They were able to join in with some of the repetition and to predict some of the rhyming words as we read them. 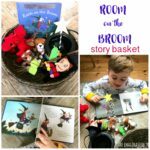 They then went onto use the basket independently, taking turns to play with the items and/or tell the story to each other. We talked about how we can hear the sea when we hold the sea shells to our ears and they really enjoyed experiencing this, then discussing what might be causing the noise to really happen! 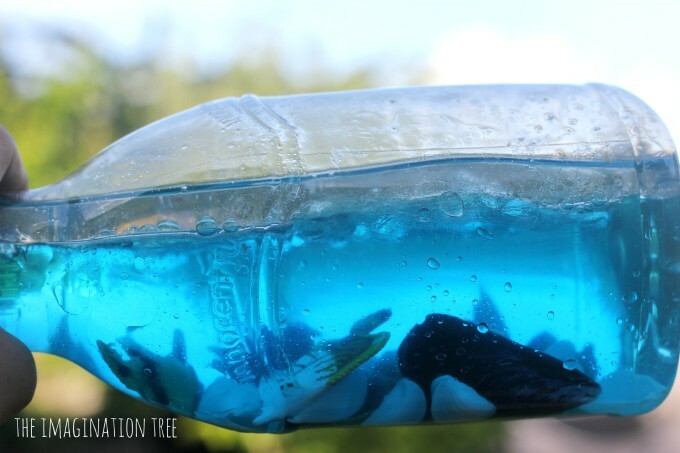 Other ideas for ways to extend this basket would be to add an OCEAN DISCOVERY BOTTLE filled with water, shells, sand and sea creatures, or to set the contents of the basket into a sand tray and play with them like a small world scene set up for imaginative play. We also took this play onto some play dough play, which we will share soon! 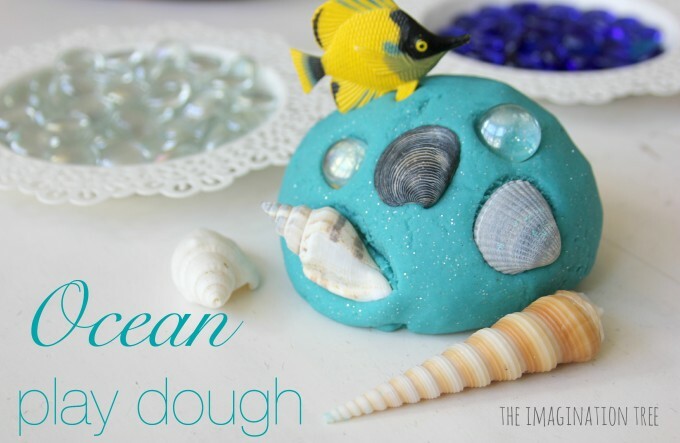 You can see our OCEAN PLAY DOUGH recipe here, and how we added loose parts to extend the play.